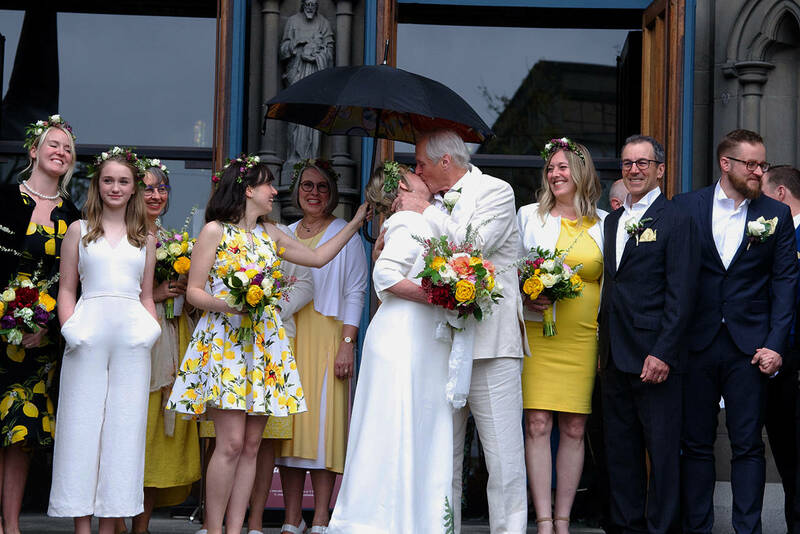 From the East Coast of Central America to the West Coast of Canada she traded the sun for rain, but has brought her compassion to every project she engages in. Louisa Sanchez immigrated from Belize with her husband in 1968. Since moving north, she has been a teacher, a learning assistant, a Masters student, a union member and leader against racism, the vice-president of the hospice group and the president of the North Coast Immigrant and Multicultural Services Society. 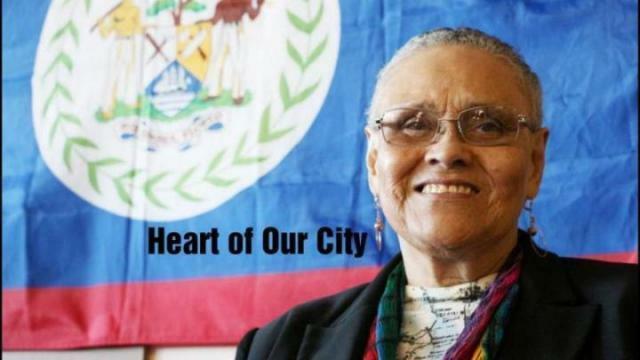 On Nov. 26, she organized the Celebrating Diversity event in the city and stood proudly by the Belize table with a traditional dish of rice and beans — breaking down barriers by sharing culture rather than fearing it is her modus operandi. She retired as a teacher 15 years ago and has had more time to dedicate to other altruistic endeavours. “You know what, I don’t want a job. I just want to give back to my community. This community has been very good to me. Part of it is my own way of doing things,” Sanchez said over a cup of coffee one morning explaining how she ended up in Prince Rupert. It took four years of paperwork to immigrate to Canada. Her brother-in-law had a janitorial business in Vancouver, and he wanted his brother and wife to join him in the north. When they first moved to the city she worked for his business. Late into the night she would clean the banks in North and West Vancouver. Memories of the lingering smell of cigarette butts stayed with her and she longed to return to teaching. Before she left Belize, she was an educator with a teaching certificate from the University of British West Indies. “When I came here I thought I’d see if I could get back into teaching,” she said. But that meant another two years of school to upgrade her degree and be qualified to teach in B.C. So she went Simon Fraser University for two years, got her degree in primary education and started substitute teaching in Vancouver. When a job opened up in Prince Rupert she applied. “And here I am,” she said with a smile. She drove up with her husband who took the bus back to continue working at the Vancouver shipyards leaving her with the car. She was all by herself, renting a home from a woman who took her in when the place flooded. Despite the kindness from some, Sanchez said she also experienced a lot of racism back then. “I tried to be strong and stoic but at night it really bothered me, especially because my husband wasn’t here and I was alone. I cried at night for about six months,” she said. Her introduction to First Nations’ culture also came quickly. She was renting a basement suite, the couple who lived above her were Margaret and Dempsey Bob — a master carver. Teaching Grade 1 was going well, but she wanted to work with special needs kids. Through distance education and summer studies she got her full degree from Simon Fraser. From there she was invited to go to San Diego State University to do her Masters in leadership and special education. With her increasing qualifications, Sanchez still chose to stay in Prince Rupert. “I started to get friends and I thought I’d stay for two years. Then I got involved, or there were other people who said you can just stay for another year and I did and I’m still here,” she said. In 1975, two years after she moved to the North Coast, her husband joined her, they built a life together and raised two boys. The community has benefited from her decision to stay. As a member of the B.C. Teacher’s Federation she joined the committee for Educators Against Racism. From there, a multicultural group Sanchez belonged to in Rupert evolved into the North Coast Immigrant and Multicultural Services Society in 2010. She is also on the Truth and Reconciliation Committee that was recently formed in the city. They are working on three of the recommendations to implement in the community: awareness of the legacy of residential schools, education and health. As the vice-president for the hospice group in Prince Rupert she also works with the retired teachers association in Vancouver. Currently, she’s writing letters to the Prime Minister about concerns for seniors. “I got involved with that because my mother had a stroke and she was off at the hospital for eight years and I went up there just about every day. I got to understand what was happening there,” she said. Her love for teaching hasn’t subsided either. She has been a school trustee for 15 years and she volunteers at the college as an ESL teacher where she’s introducing one of the Syrian newcomers to English, warming her up to the region just as she did once.